The climate controlled, multi-purpose arena, the Coliseum is ideal for concerts, rodeos, motorcross, circuses, family shows and exhibits. The facility can meet the demands that any large event may require through its unique versatility and convenience. 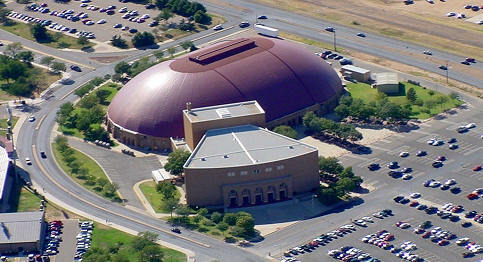 A building wrought in history and success, the Lubbock Municipal Coliseum has played host to greats such as Reba, ZZ Top, Def Leppard, Aerosmith, Ozzy Osborne, Brooks & Dunn, Tim McGraw, Ringling Bros. and Barnum & Bailey Circus and Champions on Ice. Bob Hope and Elvis? You bet! Each spring the pro rodeo circuit makes its annual stop at the coliseum for the ABC Rodeo. Competitive rates and special tour rehearsal packages are available.